Combine the Northern Lights with a fell landscape or a thrilling electric snowmobile safari, and you’ll have an unforgettable experience! 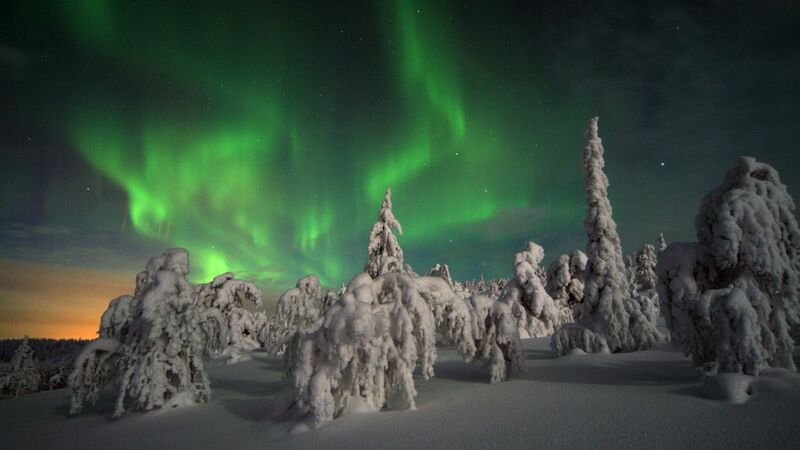 Here’s our 8 best places to see auroras in Lapland. 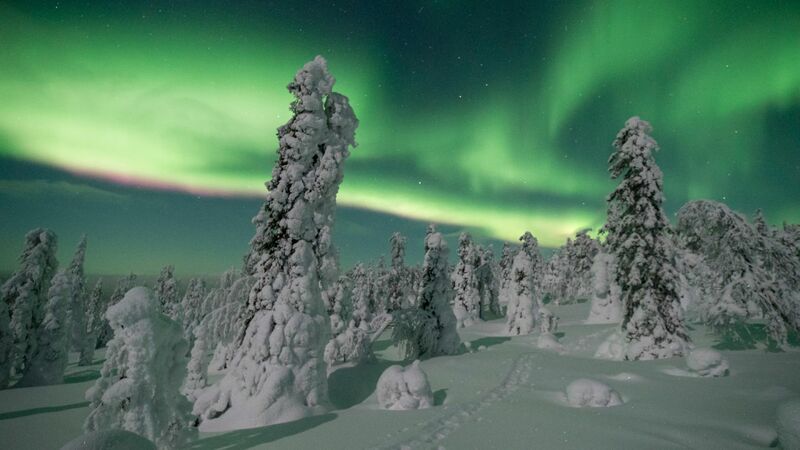 It only takes a little luck to see the Northern Lights in Finnish Lapland. They appear about every other night on average, and the farther north you go, the better your chances. And you can enhance your aurora experience with the right Arctic landscape, animal companions or a cozy suite. 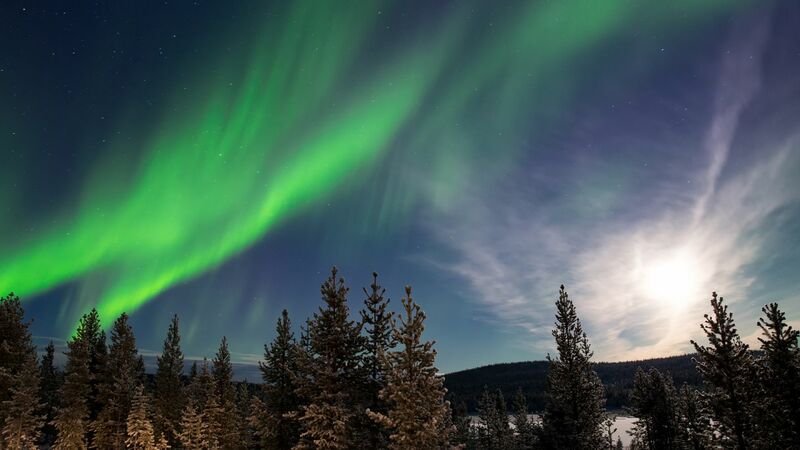 Here are eight of our best places to see the Northern Lights in Finnish Lapland, and maybe cross a few items off your bucket lists while you’re at it! It takes time for your eyes to adjust to the incredible darkness that blankets the North during winter. 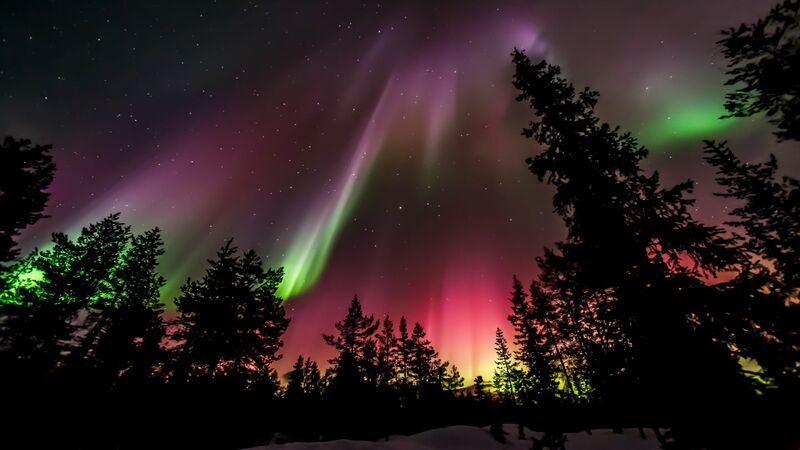 Even an errant ray of light can reset your eyes, making it much more difficult to experience the Northern Lights. That’s why Ylläs turns off the streetlights at 10 pm during aurora season. When the lights go out, you’ve got a much better chance of seeing the green fire dance over the Seven Fells, whether it’s just a subtle glimmer o’ green, or a full-scale cosmic inferno. Snow? Check. Reindeer? Check. Auroras … fingers crossed. Hop in a sledge and let some of Santa’s reindeer take you on a 3-hour hunt across the untouched snow at night for the Northern Lights. The Jaakkola Reindeer Farm in Luosto will take you on a journey to a wilderness cabin far from any lights, giving you plenty of time and the best chance of seeing auroras in the sky. 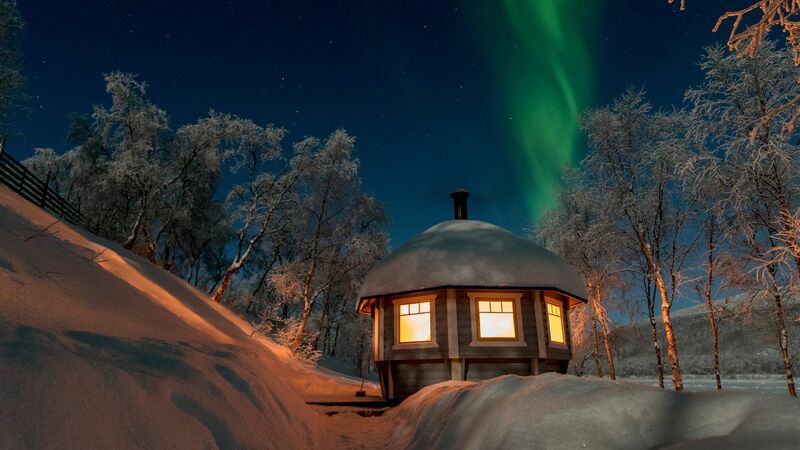 If nothing else, you get to experience a reindeer ride par excellence and have a warm drink in a wintry wilderness hut, surrounded by the quiet magic of Lapland. Are you ready to wrangle some auroras? Mount a friendly Finnish horse and head into the whispering, snow-crowned pines in search of the elusive spectacle. The warm, whickering horses are sure-footed, experienced Arctic travelers, and over an hour, your guide will lead your group to the best spots in Levi for seeing the Northern Lights. Just relax and enjoy the ride. Watching the silent dance of the Northern Lights is one thing. Getting them ready for Instagram is another. Luckily, photographers from Lapland have pooled their knowledge and experience, and from January 5th to 12th, you’ll learn from the best. At the Northern Lights Photography Workshop in Inari, professionals will walk you through your gear, the surrounding wilderness, and the best way to capture stunning aurora images. You will hear the snow crunching under the wide plastic-and-metal snowshoes. 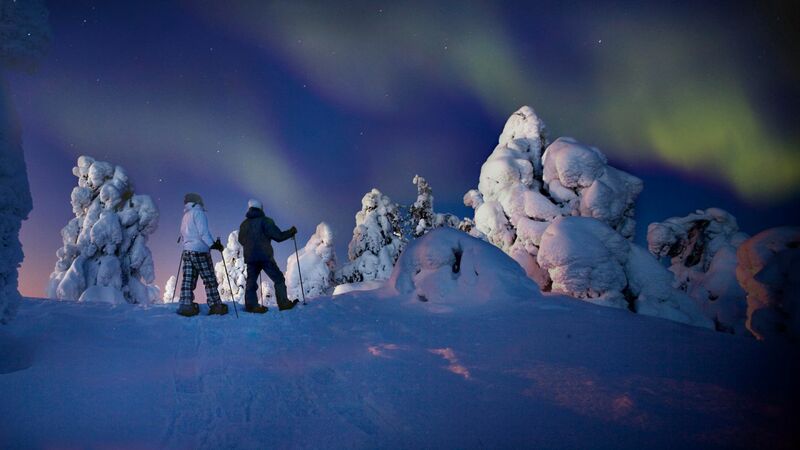 You’ll hear your guide from Ruka softly point out rabbit tracks, reindeer tracks and maybe even wolf tracks! Over the 3 hour tour, there will be laughter, the crackle of a campfire, the bubbling of pot-coffee, and if you’re lucky, there will be gasps, curses, and camera shutters. The Northern Lights make no sound as they shimmer and wash across the twinkling stars. Snowmobiles, like disc golf and Pokémon Go, are not exactly Lapland traditions. 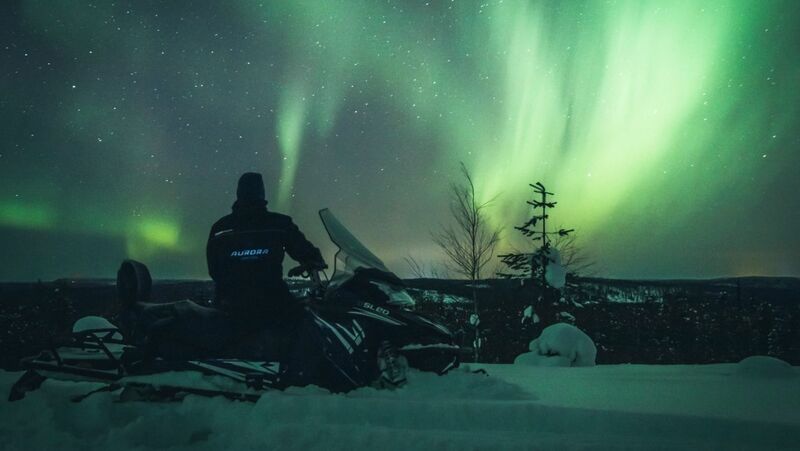 They are, however, very popular, and Finnish Lapland is one of the few places in the world where snowmobile technology is pushing ever forward. One such innovation is the eSled, a fully electric snowmobile. 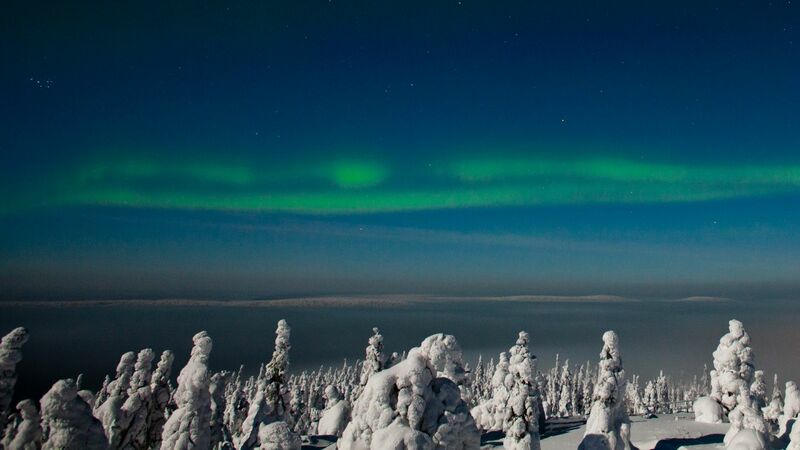 Let Rovaniemi’s Aurora Emotion take you on a silent snowmobile journey on their private tracks across a frozen lake, through snow-clad forests and up Arctic hills. With a little luck, the sky will open up and reveal the waving, shimmering Northern Lights. Separating Norway from northern Finland is the Teno River, and the humble road that follows that border river from Karigasniemi to Nuorgam, the northernmost village in Finland, is Route 970, perhaps the most beautiful road in the country. The 150-kilometer route skirts the edges of the vast silent forests and balding fells. 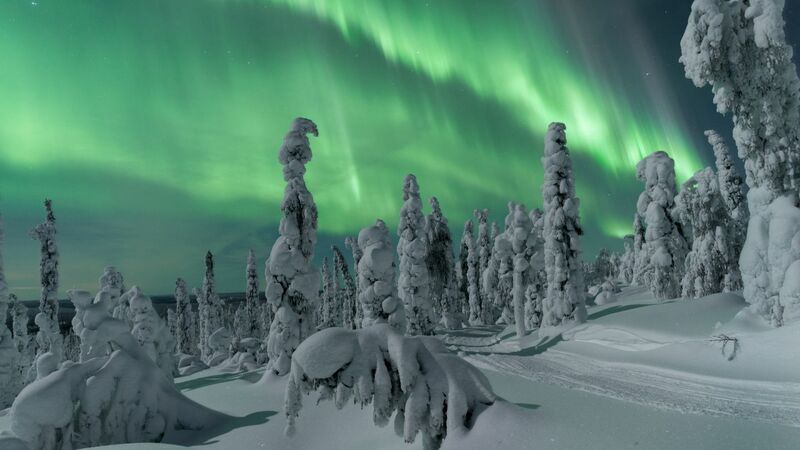 Far above the rolling hills and stunted trees, the Northern Lights appear on average more than every other night. There may be no better place in all of Finland to catch the auroras above a stunning Arctic landscape. Up until this point, you’ve needed to go outside to see the Northern Lights. But there are other ways to experience them. In the Aurora View Suite in Iso-Syöte, you can lounge in comfort in a warm bed, legs entwined, and wait for the auroras to come to you. The suite features large windows facing up and out, so you don’t need to put on a heavy safari suit or woolen gloves. In fact, you don’t have to wear anything at all. Just enjoy the cozy warmth and wait for the magic to happen.